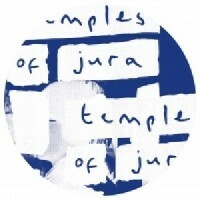 After curating a slew of totally essential reissues, Adelaide's Jura crew kick off a new offshoot, Temples Of Jura, catering for original artist material from a variety of genres. Their inaugural 12" brings us an intergalactic journey into dubspace piloted by Melbourne sensation Len Leise and the Jura Soundsystem themselves. Bouncing out the A1 with a boing of spring reverb and a swirl of space echo, "Dear Adrian" is Len Leise's tribute to On-U soundbwoy and dub pioneer Adrian Sherwood. Though the track grunts and moans like a Sherwood classic, Len's trademark blend of sunny melody and organic texture moves things in a more Balearic direction. Jura Soundsystem make their debut with a dub tryptich, spinning "Udaberri Blues" into three distinct versions. Rootsy and grooving, the track boasts a gorgeous psychedelic guitar line, echo drenched vocals and trippy fx, which truly come into their own on the uber-Balearic and entirely beatless "Space Mix". First among equals however is the MASSIVELY baggy, pilled up pump of the Dub Version, an immersive chugger in tune with Holy Ghost Inc.'s "Walk On Air". Patrick says: Isle Of Jura take a break from their expert reissue program with a four track grand slam of sonic excellence, served on a dub tip. Len Leise gets loose with the pedal board, paying homage to UK dub king Adrian Sherwood, while the Jura Soundsystem steal the show with Balearic smash "Udaberri Blues". Expect to hear the "Dub Version" rip 'Nado apart in the very near future.